If you're anything like me, when you get sick it really shows in your face. Sicknesses don't really phase me - I don't mind going out and about when I've got the sniffles, but people can always tell I'm sick, you know? I'm really pale anyway, but something about being sick makes all the melanin in me disappear for a few days - I practically become translucent. 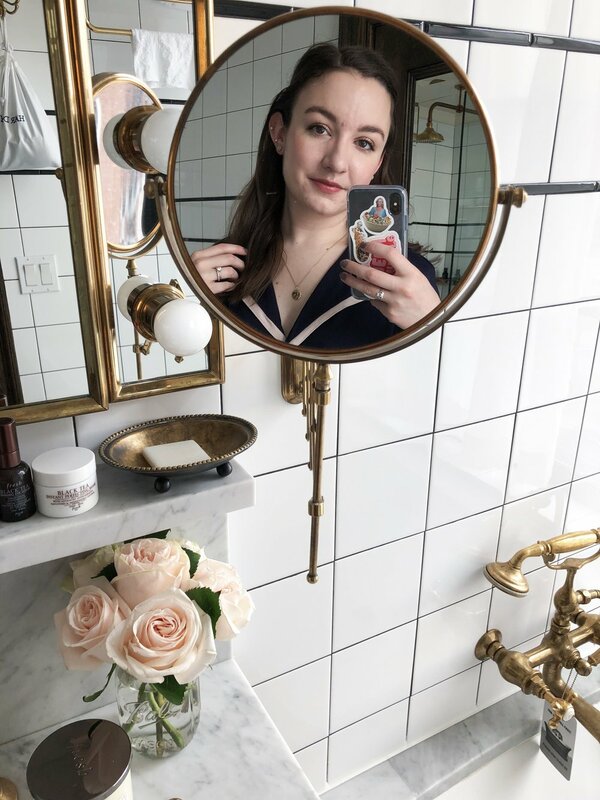 For these paler-than-pale sick days, I've found the perfect product to mask that worn, sallow look - the Hourglass Ambient Lighting Blush in Diffused Heat. Besides being the most beautiful product I've ever seen, it's just the best thing to fake your way to flawlessly healthy skin. The color is a beautiful cross between a pink and a red, and it makes for a very natural-looking flush, like you just came in from frolicking in the snow. The Ambient Lighting Powder in Diffused Light is swirled throughout the blush, leaving the most subtle, but still noticeable, glow. You don't see specific shimmer particles on the skin, but it just looks like your skin is glowing from within. The luminous finish of the blush, paired with the perfect flushed color, makes this a must-have for anyone who just wants to look healthier and more awake - rosy-cheeked, bright-eyed, and bushy-tailed and all that.